Australian Man and his British Girlfriend has fallen to their death while trying to take a selfie . 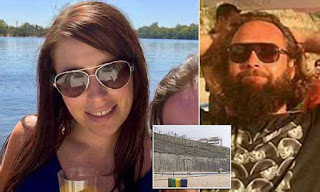 An Australian man and his British girlfriend has died after falling off a 30-metre wall while taking a selfie . The duo has been identified as Michael Kearns, 33,who was holidaying with his partner Louise Benson, 37, before the pair were found dead on a popular surfing beach in Portugal. 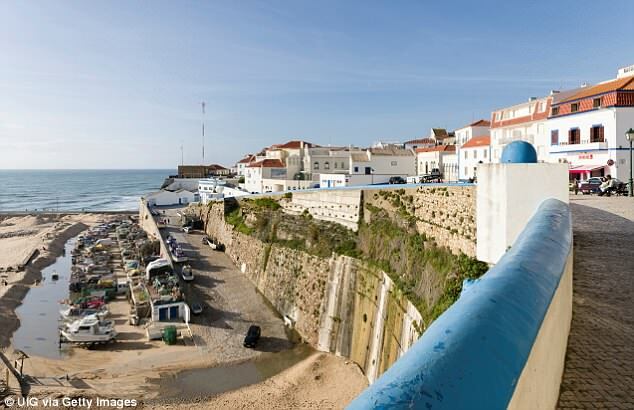 The couple plunged 30 metres off the rocky cliff after reportedly taking a selfie and losing balance sometime between 1am and 6am on Tuesday local time. Tributes have begun to flow for the beloved couple, who left Australia in January to travel the world and had attended a friend's wedding in Portugal just weeks earlier. 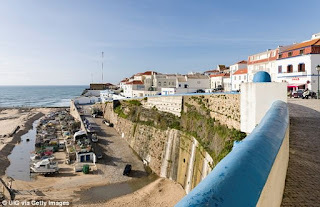 A beach cleaner found the two bodies in the sand beside a mobile phone early Tuesday morning at Pescadores beach in Ericeira, 30km from Lisbon. 'Everything seems to indicate that the fall happened when they were probably trying to take a selfie,' said Rui Pereira da Terra, head of the rescue service in Cascais port. 'It seems they dropped their mobile phone and fell down while leaning over to retrieve it,' he added.